Schematic view of X-ray Photon Correlation Spectroscopy. As the sample changes its structure, scattering pattern called speckle changes accordingly. 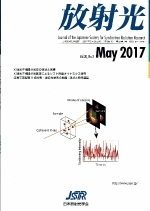 Consequently, information about the dynamics is obtained through the analysis of the temporal fluctuation in speckle intensity.